If you have acne scars, dull skin, or wrinkles, the minimally invasive technique of microneedling may be the right skin care treatment for you. 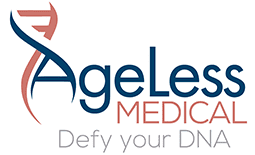 Aesthetic specialist Jill Girany, APRN, of AgeLess Medical in Cheyenne, Wyoming, offers microneedling to rejuvenate your skin and enhance its appearance. Call the office or book an appointment online today to learn more about microneedling and how it can revitalize your appearance. Microneedling also called dermarolling or collagen induction therapy is a treatment that involves using a pen covered with tiny needles to create tiny punctures in your skin. Jill Girany uses SkinPen® by Bellus Medical, the only FDA-cleared microneedling device. The tiny holes created by SkinPen don’t damage your outer layer of skin but do trigger your body’s own wound-healing mechanisms. Immediately following microneedling, your skin becomes slightly inflamed with increased blood flow and the creation of new tissue. In the next few days, your skin then builds new cells and creates new networks of blood vessels. The final step in the wound-healing process involves skin remodeling in which your skin replaces the micro-wounds with new tissue and blood vessels. Your skin starts to produce more collagen, a natural protein that boosts skin strength and smoothness. What conditions benefit from microneedling? SkinPen triggers healing but doesn’t cause the formation of scar tissue, making it a valuable treatment for most skin types. Microneedling treatments take about 30 minutes. Some patients describe the procedure as mildly uncomfortable, but most tolerate the treatment quite well. Jill Girany can offer a topical numbing cream to ease your discomfort if needed. How much downtime is required after a microneedling session? You need little to no downtime following a microneedling session. You may have some redness and irritation for a few days after treatment, not unlike a mild sunburn, but these side effects resolve on their own. Jill Girany provides you with clear post-microneedling treatment recommendations to maximize your results. Your skin is especially receptive to serums and creams after microneedling treatment. Following SkinPen, Jill Girany offers Skinfuse® LIFT, a nourishing hydrogel that prevents your skin from drying out after microneedling. Some people may also experience rough skin, tightness, itching, peeling, and tenderness for a few days, but these conditions usually ease up on their own. To learn more about how microneedling can boost your skin’s appearance, call AgeLess Medical or book an appointment online today.